I think that might have been part of the problem, I was planning on wearing the dress to a wedding, and felt it looked too casual in the end even with the heels. So I rushed into making it into a tunic. I wish on hindsight I’d tried it with flats before making the decision. However I think it will get more wear being a tunic than it would have as a dress. 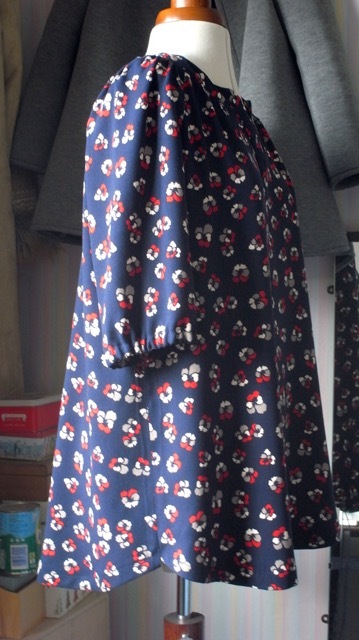 I’m definitely going to have another go at a dress version though, maybe in a plain black crepe. Thank you for your comment and input, always appreciated. I like it in both versions. Agree – dark coloured flats would have set it off. It’s lovely fabric and suits you in the tunic and the dress. Nice work! 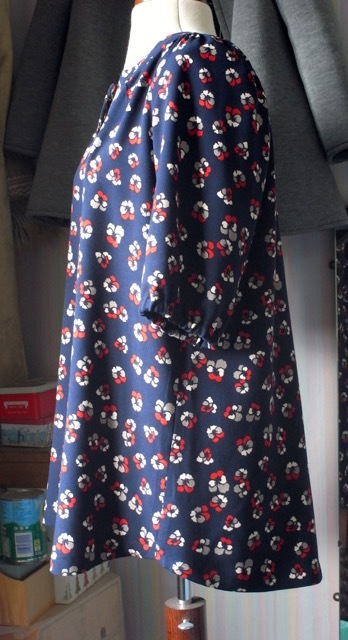 I’ve bought the Helena dress from Sew Me Something – my next make. And some lovely M&M laundered linen in Silt Grey (it’s winter here!). And all because you introduced me to the Imogen! Thank you Jenny, never went away really, just need to knuckle down and write these blog posts. And on another note I’m so happy to have helped influence you and your sewing. Your Helena dress sounds like it will be gorgeous. It is a pattern I have also been thinking about. 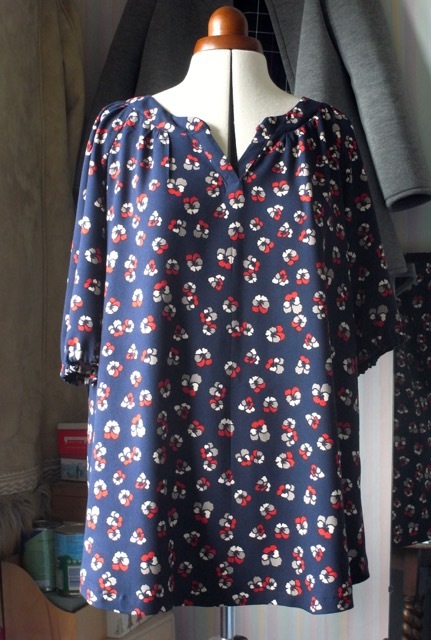 This fabric is so beautiful and the tunic looks great and in combination with the jeans it’s perfect. I’ve experienced that fabric choice makes about 75% if I’m happy or disappointed of a just finished garment. Currently I’m restyling and refitting a dress due to the fact that I’ve used fabric that wasn’t suitable for the pattern. Perhaps the dress would have suit you in an other fabric. Looking forward to your next planned version in another fabric. Yep fabric is an all important decider in whether something works or not. I have made a couple of (quite expensive) fabric mistakes which I will try to put down to experience.